Ready to use: No dilution required. simply use bubble solution straight out of the bucket. 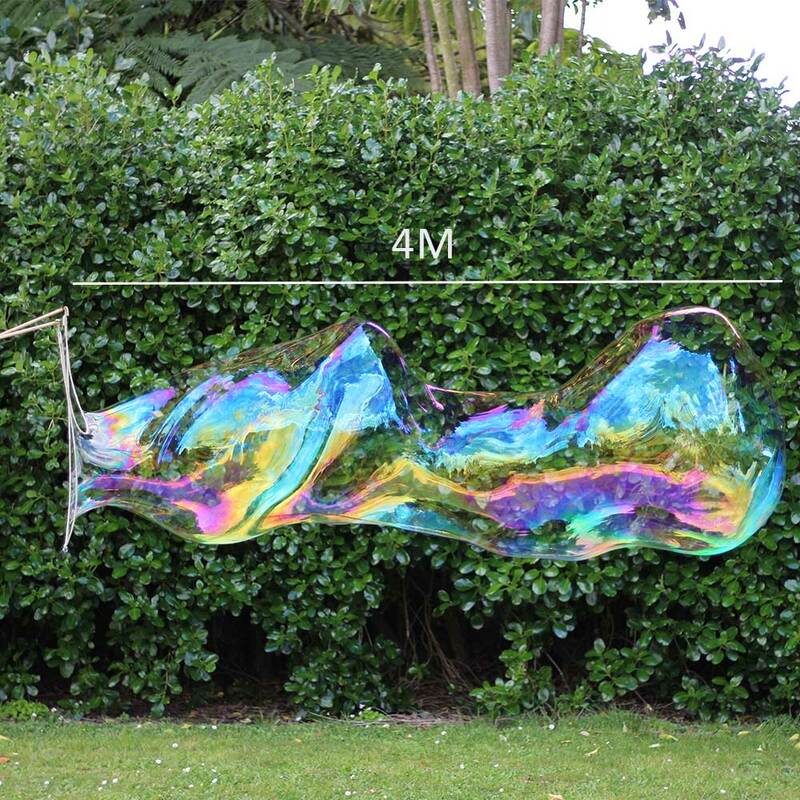 Giant Bubble Party Pack for creating lots of massive, multi-coloured bubbles. The Giant Bubble Party Pack is perfect for a crowd of people to all have a go together at creating super-sized bubbles. A 10 litre is large enough to have a group of 4 – 6 people create bubbles simultaneously. With 2 Intermediate Wands and 2 Kids Wands the fun will keep going and the view is spectacular! 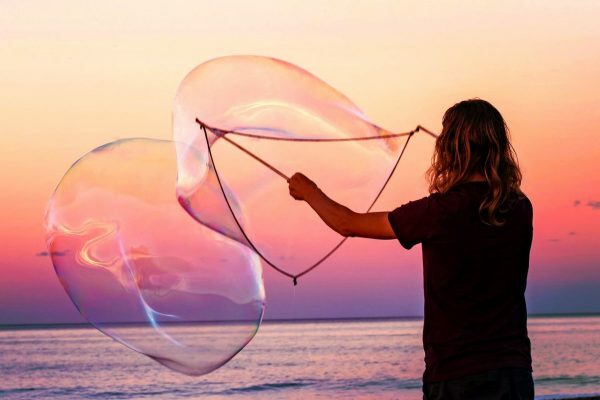 You can create giant bubbles anywhere, just make sure you have some open space so you can watch them float a long way. Perfect as a birthday or Xmas gift, schools, kindergartens, play centres, weddings and special occasions. Our Giant Bubble Solution is made from specially imported bubble detergent and (rare) pantry items and our wands are made from sustainably sourced pine dowel and a specially sourced, super absorbent, natural cotton rope which is fully degradable. All handmade in Te Awanga, Hawkes Bay, New Zealand by a family who loves giant bubbles.